Calling all bloggers! Are you on snapchat? Not just do you have the app, but do you put stories out there for your audience to see? A few weeks ago, I wasn't. I had the app and watched other people's stories and occasionally shared a selfie with the virtual flower crown. But I had the realization that maybe I should say goodbye to my reservations and fears and hello to getting a little more personal with my followers. So I started sharing more stories (videos, not just pictures) and started getting my snapchat name out there. Wanna add me? ;) Scan the image below with the app or look me up by username! 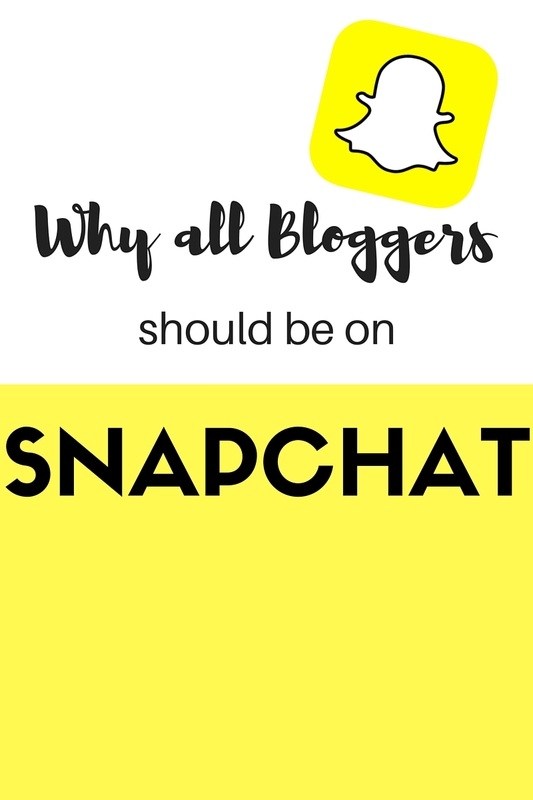 So why should you be on Snapchat? Well think about the world today. We are all obsessed (just admit it!) with each other. Snapchat is popular for the same reason Facebook, YouTube, and Instagram are - its another chance to see into someone else's life. Vlogs are super popular on YouTube right now and I think it's because people like the raw feeling of it, kind of just a glimpse into the everyday lives of people you watch on the tube. Snapchat is even more raw. In 10 second increments you're getting to see and hear from the people you are used to seeing in still images on Instagram. I love following bloggers on snap because I get to hear their voice and see how they spend their time when they're not perfectly prepped and posing for an insta post. When you think about why you love certain bloggers, vloggers, or YouTubers, its usually because you can relate to them or feel like you know them. Snapchat helps to deepen that bond and turn your followers into friends. 1. Companies like Shop Style, a huge affiliate network for fashion and lifestyle bloggers, created ways for bloggers to monetize through snap. I doubt they'd bother if no one was on there! 2. I love seeing snap stories, and I bet you do to. Treat others the way you want to be treated! If you are intrigued by snap stories, chances are your followers are too. 3. Based on my own short time on snap as a blogger, people keep coming back for more. Because you can see who opens your snaps, I know the people who have followed me have been opening every snap I've posted since. I love seeing that people keep opening my snap stories! It gets me excited to keep sharing. Are you going to start snapping (does that work as a verb?) more often and sharing your snaps with the world (or at least the people who are following you)? I'll leave you with this statistic (I am an engineer after all...): Snapchat has 30 million active monthly users with 400 million snaps sent each day. Don't fall behind the trend train! As bloggers we can't afford (literally) to be behind the curve. Now get snappin'! 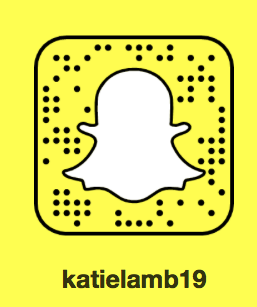 Soon I'll be sharing how to grow your Snapchat following!